Did your favorite Chico's watch stop ticking? Not a problem, Watch Gnome offers online watch battery replacement for Chico watches and makes it fast, easy and affordable with our unique mail-in service. Unlike other watch shops, WatchGnome handles the whole process for you without you having to leave your house. We even send you the packaging and pre-paid label to our workshop! 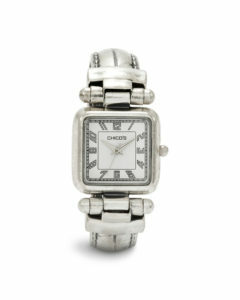 Why Is The Chico's Watch Battery Replacement Service So Easy? We built the process to take all the hassle and time off our customers. We know you're busy so let us handle all the annoying stuff. How do we do it? We start by sending all the packaging materials straight to you! That means no running around to find a box or find padding. It will arrive on your doorstep in 2-3 days. Our kit includes: Durable watch box, padding to protect your watch, water proof bag & a pre-paid USPS envelope to bring the box straight to our workshop. No hunting around for our address! 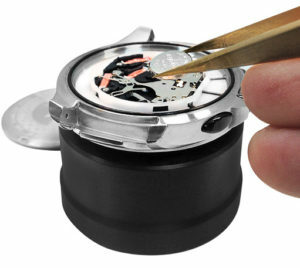 Once we get your watch back, we inspect it and then change the battery out for a fresh, high quality watch battery. Once in, we check that it's keeping the correct time and set to your local timezone. Then we ship your Chico's watch straight back to your door. 1 Minute to unwrap your watch a few days later when it comes back! While other companies may charge you $50 - $100 to replace your Chico's battery, Watch Gnome will do it for $20 / $30 or $40 depending on the service you choose. With our basic service, you ship us your Chico watch and we change the battery. With our Premium service, the price is $30 but we send you a padded watch box and a prepaid shipping label back to our workshop. Our Deluxe Service is just like our Premium, except we ship via 2-Day shipping in all directions! Our process has been tested and optimized over years of Chico's battery service. First, we inspect your watch when it arrives for any obvious damage or wear from everyday use. If your watch looks good - we start by removing the case back. Second, once the watch is open - we inspect the inside for damage or dirt. We give it a quick cleaning and then remove your dead Chico's watch battery. We then replace it with a brand new Energizer or Sony battery and test it again. We ensure you Chico watch isn't losing time or slowing down and then set it to your local timezone. Third, we then reseal your watch with our special case closure tools. This ensures accurate replacement which helps maintain the watches original water resistance and keeps the inside protected. Chico's was founded by Marvin and Helene Gralnick as an American women's clothing and accessories retailer. They were headquartered in Florida. Chico's is a holding company and actually operates 3 different brands including Chico's, Soma and White House Black Market. They currently operate more than 1,500 stores in the United States and Canada and sell primarily sophisticated clothing that ranges from casual to dressy as well as accessories. Chico's was listed by Inc. magazine in 1989 as one of their 500 fastest-growing, privately held companies in America. Then a few years later they placed 13th on the 100 Best Small Companies list published by Business Week. Again in 2001, they placed on Fortune’s 100 Fastest-Growing Companies, Business Week’s 100 Best Small Companies, and the #1 spot on Forbes’ 200 Best Small Companies. Watch Gnome started changing Chico's watch batteries a few years ago when customers started reaching out to us about them. We had originally started with other watches like Michael Kors, Fossil, Tissot & Skagen but more and more requests came in for a Chico battery service. Our technician tested out a number of watches to perfect our process and test the results. Overall, we decided they were great watches and would add them to our watch service menu. 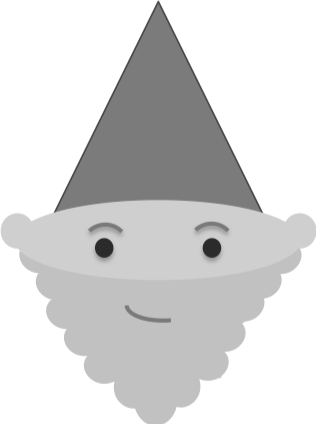 Watch Gnome comes directly TO YOU to replace your battery via the USPS. We'll ship you a box and prepaid return shipping label to our workshop. We are changing what it means to find a watch service near you - no more driving to the mall, parking and then waiting around. Instead, our service will come straight to your mailbox or office and keep it fast, simple and hassle free. We know a watch is a personal item, so we offer complete tracking for the whole process. Know exactly where your watch is during the whole battery change process.